Egypt's best-selling author Alaa Al Aswany talks to The Global Dispatches about his time in Tahrir Square during the revolution that toppled Hosni Mubarak, his new book "On the State of Egypt", Dostoyevsky, the Muslim Brotherhood and some neglected classics of Egyptian literature. Originally trained as a dentist, Alaa Al Aswany still has his own practice in Cairo. His first novel, “The Yacoubian Building”, which was longlisted for the International IMPAC Dublin Literary Award in 2006, has sold over a million copies worldwide, and was the best selling novel in the Arab world for more than five years. 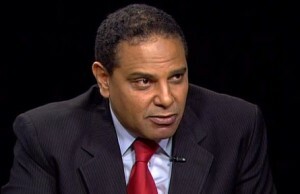 Al Aswany is also the author of “Chicago” and a story collection “Friendly Fire”. His work has been translated into twenty-nine languages and published in over one hundred countries. Can you tell me about your new book “On the State of Egypt”. 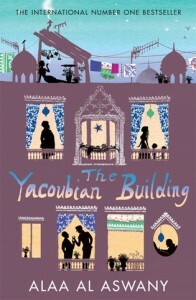 Yes, it is a collection of stories, chosen from three books which were previously published in Arabic. We chose those stories that would be the most clear and the most informative and entertaining for western readers to explain what led to the revolution in Egypt. The subtitle of the book is “What made the revolution inevitable”. Yes this was a subtitle chosen by the publisher as the stories were meant to explain why the revolution happened to those people who were surprised by the revolution. 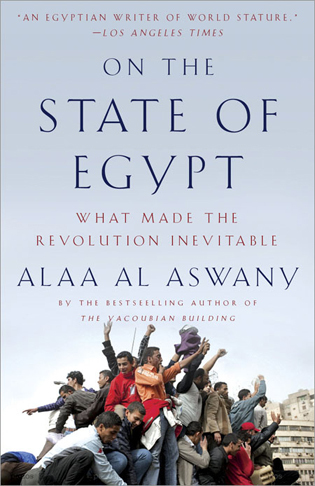 Even Egyptians were surprised by the timing but you will find that in the book I mentioned in an interview with the New York Times in 2007 that something was going to happen in Egypt, that the country was close to seeing major changes that would be a surprise to everybody. You spent time in Tahrir Square during the revolution and have returned for the recent “Friday of Rage” demonstrations, so the job is not finished by the sounds of it?. I participated in the revolution from the very beginning, from the 25th to the 11th February when Mubarak stepped down. These Friday demonstrations are the only way we can express ourselves and send a message to the army which is currently in charge. The last demonstration was called to send a message that we are not happy with the speed of reforms and to send a message that we need to clean up the state and get rid of the members of the old regime who are still in their jobs – many of whom are currently leading a counter-revolution. How was the participation at the demonstration? Very good but it was boycotted by the Islamic parties. This is not such a bad thing though as it demonstrates that the revolution is not a religious one and does not belong to the Islamic parties. They cannot claim that they own the revolution so on that score it was very successful. Yes, absolutely. It has only been four months so we must protect the revolution which could be aborted, stopped or stolen. We have to be careful, our job is not finished yet. We have to keep fighting for democracy. The army is managing the revolution but the army is by nature a conservative and traditional group of men. So there is something of a contradiction here. Our revolution is unique in many aspects, the demands of the revolution are being dealt with through an agent which is the army which is not by nature revolutionary. We have to keep constant pressure on the army but there is a positive side which is that usually after the beginning of a revolution there are a lot of killings and violence but the army protected and continues to protect the revolution from this. We can claim that our revolution was a white one, a bloodless one, but we have to work hard to make sure that the demands of the revolution are met by a naturally conservative army. Has a specific date been set for elections? We had a referendum that was voted on by the people and the following schedule was agreed: there will be parliamentary elections in September, and following that a committee will be formed from the new members of parliament and they will have the job of writing a new constitution. Then after that there will be presidential elections before the end of the year. I wanted to ask you about one specific event, your interview with Ahmed Shafiq, the interim Prime Minister, who resigned immediately after you questioned his legitimacy on television. What happened exactly? Initially we were planning just to comment on his programme, then the director of the channel proposed to Ahmed Shafiq that I and some other activists ask him questions directly. He agreed but he was not used to that format by any means. He was just another Hosni Mubarak. I treated him as if he were a public servant, not the head of a tribe or the boss and also I knew that he was responsible for bringing to justice the people who killed demonstrators during the revolution and I asked him why he had done nothing. I kept insisting on an answer and then he turned on me and he asked me “And who are you?”. I am famous in Egypt but what he really meant was “How dare you speak to me this way?”. I replied that I was an Egyptian citizen and that from now on every Egyptian citizen will have the right to ask him questions about what he is doing. I repeated that he had done nothing to arrest the people who had killed the protestors and he said that he had not had enough time and I said that more than a month had passed and he replied “I am the one that decides!”. Then I said “No, you are not the one who decides, we decide, and if your son had been killed you would have a whole different attitude to this matter!” Then he lost his temper and started to shout and insult us. The next morning he resigned, actually he was asked to resign, by the army. He must have been in shock! Yes, he was. Then I wrote an article to explain my point of view. The article was entitled “Stand up, you are talking to the Prime Minister”, and I explained that I was applying the principles of democracy, according to which the Prime Minister is a public servant. Judging by one of your stories in your new book you would like to see El Baradei as the next President of Egypt. He is a very good person with many of the qualities to be the President but I am not sure he has the enthusiasm to be the President. I don’t think he has even made up his own mind yet if this is something that he really wants to do. As for me I don’t yet have a preferred candidate. I saw a recent article you wrote about the importance of a secular society where religion and state are separate, and you mentioned that Egypt has been on this democratic road before under the 19th century ruler Mohammed Ali. Yes, Egypt has been in this position before. The history of modern Egypt is not well known in the west, what is well known is the history of Pharaonic Egypt. Egypt had the first parliament in the Middle East, we had the first revolution, the first constitution and the first elected government in 1924. The Egyptians struggled against the British occupation, and the struggle was for both independence and a constitution. Democracy had already been in place before Nasser’s revolution in 1952. The aim was to build a secular civil state, that was very clear to everybody. The idea of Islamic states came with oil. This idea emerged in the 1980s and 90s because of the rise in the price of oil after the war in 1973. Saudi Arabia and other regimes in the Gulf are in an alliance with the Wahhabis who support an extremist interpretation of Islam. They are using oil money to promote this Wahhabi doctrine. That is why it was only in the 1980s that the hard line religious doctrines came to Egypt. This had never been an issue before. It had previously always been clear that the State was separate from religion. This has been our political history since the time of Muhammad Ali for almost two centuries. Does Egypt need a modern Wafd party? Yes, absolutely, it needs a strong national and secular party. The Wafd was the most important political party in Egyptian history. The Wafd made it clear that it was a secular party but that it was not against religion. One of the leaders of the Wafd Party was Mustafa el-Nahhas who was a devout Muslim but he never allowed religion to mix with politics. There is an obsession amongst western governments about the possibility of Muslim extremists taking power in Egypt. The situation is presumably much more complicated. This is no longer a great fear for us in Egypt as religious extremism tends only to flourish under a dictatorship and not under democracies. Under a dictatorship nobody participates in elections so if they obtain 13% of a 20% turnout then they appear to have a significant presence but in a democratic turnout of 60% their 13% becomes less significant. They could never obtain a majority. I read that you said that taking part in the revolution makes you a better person. Yes it does. I am not just talking about myself, but for everyone who took part. Anyone who takes part in this kind of revolution becomes a much better person. Participating in a revolution means that you refuse to compromise your values. The people who took to the streets during the revolution were being shot at by professional snipers so they had to overcome a barrier of fear and as a resut they became much better people. On Friday 28th a man came up to me and he said that I must write about the revolution to which I replied “of course”. He was a young man, I will never forget his face. When he was about 2 metres away from me, he was shot dead by a sniper. I cannot forget that moment or the look on his face. When he was talking to me seconds before he would never expected that these would be the last words he would speak. I was not scared, I did not run away. None of us ran away, being together in such a situation makes you much stronger than you would be in a normal situation. Under different circumstances if someone had been shot two metres away from me I would have run away, of course. When you have the support of 2 million people, people who were determined to bring the Mubarak regime to an end, you are stronger. The situation is strange though, the snipers mask themselves with white material on their heads and from a distance they choose their victims, it could have been me, he was not far from me and dealing with this this makes you a better and stronger person. Have events in Egypt altered your literary projects? I was working on a new novel when the revolution started and I stopped writing for 4 months to take part. I had to do my duty towards the revolution. In Tahrir Square I use to give speeches, sometimes after midnight, sometimes twice a day. I was incredibly busy. You have spent many years abroad in the west but it seems that you have an ambiguous relationship with the West, you clearly miss Egypt despite all its problems. I have often said, I only really feel truly myself when I am in Egypt. I have lived in the USA, France and Spain but in these countries I only feel that I am 75% myself whereas in Egypt I am at 100%. Is your relationship like the famous Sudanese writer Tayyeb Salih’s love-hate relationship with the West? No, I am different, I have a broader view. For example, as a young boy I attended the French school in Cairo, I was taught in Arabic and French. I grew up with Europeans and then I went to the US to study, so I was educated by a variety of influences. I firmly believe that we are all human beings first – we might have different colour skin, be from different ethnic groups of follow different religions but we are all just human beings. I have a broad view. Do you feel you are part of a specifically Arab tradition of literature and novel writing? Everything has been useful to me, I have studied Arabic, French and Spanish literature and all of these are windows, if you have three windows it is better than having just one. Do you feel the pressure of Taha Hussein and Naguib Mahfouz or Tayyeb Saleh on your shoulders when you are writing? I don’t think of anybody when I am writing. Writing is like a love affair, when I am truly in love with a woman, I do not compare myself to anybody! Can you recommend an Arab writer that has yet to be discovered by western readers? Yes, we have already mentioned Tayyeb Salih but he has been translated but the short story writer, Yusuf Idris, an Egyptian, was a great short story writer and he is not well known outside of Egypt and I should also mention Yahya Haqqi who wrote one of the first collections of short stories in 1926. These two writers are virtually unknown in the West. 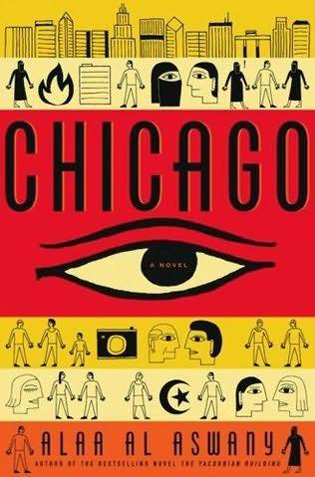 Reading your latest book I kept thinking of Gogol transported to Cairo, are you an admirer of Russian literature? Yes, I love Russian literature, I would not say Gogol, who was a great writer but certainly Dostoyevsky. In my mind he was the most important novelist in the history of literature. I give lectures on Russian literature, particularly on Dostoyevsky but also on Anton Chekhov. There is definitely a connection.